Melbourne Guardrail have a range of stretcher stairs, which are both durable and lightweight. 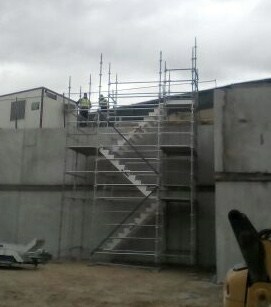 These stretcher stairs easily combine with existing scaffolding to allow ease of access for workers to and from the site. They also make it easier to transport tools and therefore help with efficiency around the worksite. Our stretcher stairs also come with a range of safety features, including strong tread and bolt-on handrails. Our stretcher stairs make a worksite safer and more efficient, so you can complete the job on time, whether residential, commercial or industrial. Making OH&S less complicated with Melbourne Guardrail’s array of commercial guardrails, for a variety of applications. When working a height, these guardrails are a must, according to Victorian law. All od guardrails are fully compliant with relevant business standards. They are strong, yet also easy to handle and install, saving you time on the labour site. 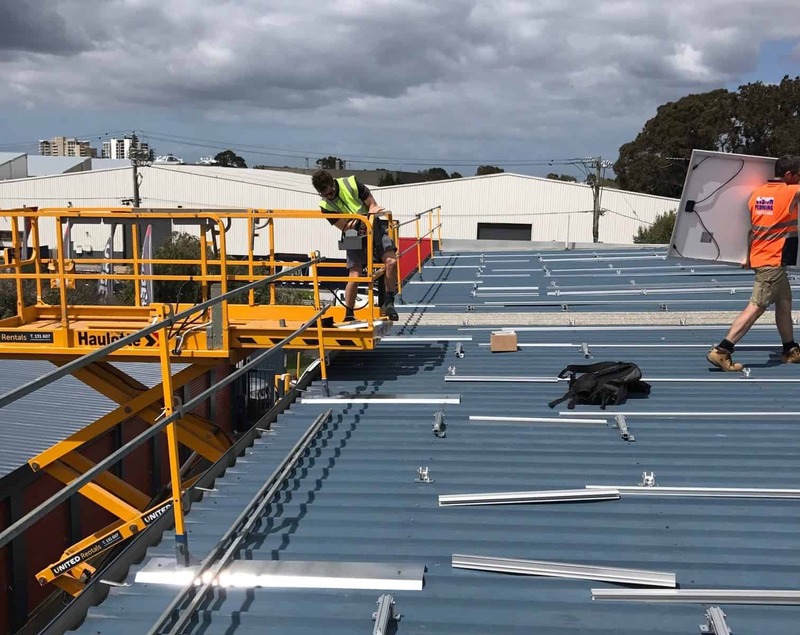 For those companies looking to complete a job safely and on time, it must be Melbourne Guardrail’s range of commercial guardrails. Fully compliant with Australian Workplace standards, Melbourne Guardrails’ void protection is a smart choice for increasing safety at the frame stage. Tradesman can then work above the platform with minimised risk, owing to the blocked void. It also means that any dropped materials are blocked from falling on workers working below. 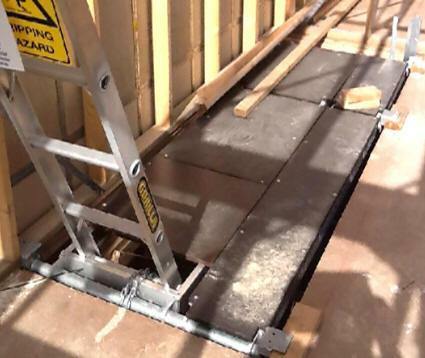 Void protection can also restrict access to higher levels, in the initial stages of construction, so that only authorised workers can enter or exit. Melbourne Guardrails’ void protection is sure to make your next project safer. 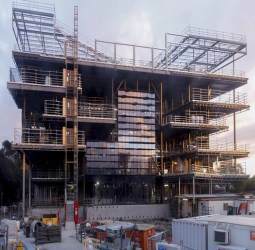 Melbourne Guardrail are the matchless supply team when it comes to commercial construction scaffolding. Whatever the size or shape of your project, we have the gear you need for an efficient, fully Work Safe compliant project. We help contractors finish work on time and according to budget! Whether you’re working at height or not, whether a local tradesman or a large firm, we can help with the widest range of scaffolding and guardrail products. There’s no better in Melbourne. Call us today to see what we can do for you! Also called “ground-up” scaffolding, Kwik Stage is a form of adaptable scaffolding easily assembled through a modular building system. 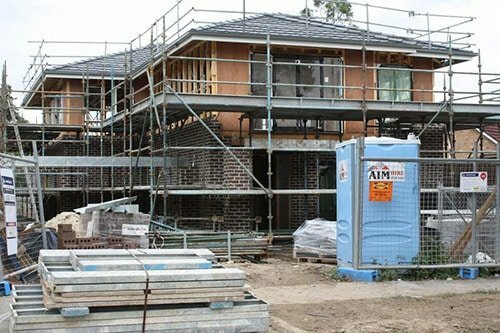 The most poular scaffolding used during construction & renovation at heights, it’s a trusted system for industrial, commercial and residential projects. Offering unparalleled versatility in terms of scaffolding solutions, Kwik Stage relies on a number of separate component pieces that can be modified and interconnected to form the shape or size of any construction. At Melbourne Guardrail, our top priority is ensuring the safety of trades people while still allowing for easy and efficient work to be done at the build site. That’s why we’re proud to offer Kwik Stage hire for build sites of all shapes and sizes. Simple to build to WorkSafe regulations while allowing best access for any trades people working at height, Kwik Stage is one of our leading hire options. A great option for all types of external works, including carpentry, brickwork, rendering, wall cladding installation and more, trust Kwik Stage – and Melbourne Guardrail – to get the job done. Call us on 0429 811 581 to organise your Kwik Stage hire. 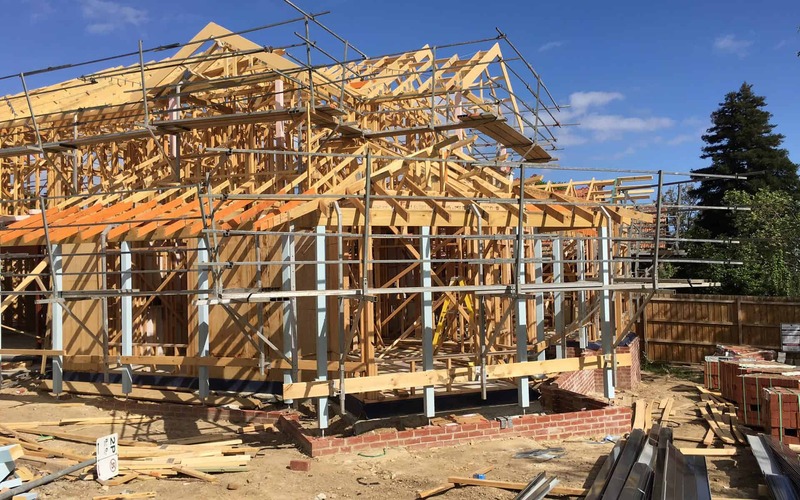 A cost-effective, easy-to-install and light scaffolding system, the two-plank walkway allows easy access for roof trusses and gutters, ideal for building single and double-story housing. According to specifications, we can help with design of the scaffolding, so it perfectly suits the building design and optimises safe access for roofing and guttering tradesman. Why not call us to find out if the application is suitable to your job and to check out our unbeatable prices. 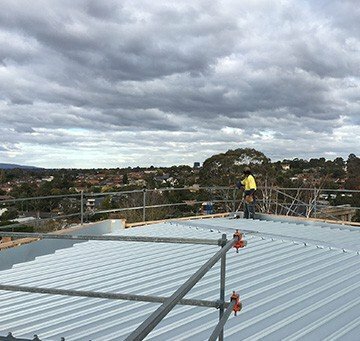 In order to be fully compliant with Work Safe and Oh&S standards, it’s important that roofs be secured by a safety rail. Melbourne Guardrails’ fall protection is far stronger than other rails, owing to the mass of the metal and the 90-degree angle. Workers working on roofs are far less likely to fall if they trip, owing to the strength of this rail. These rails come in different finishes as well, and a range of sizes, to cater to different size projects. 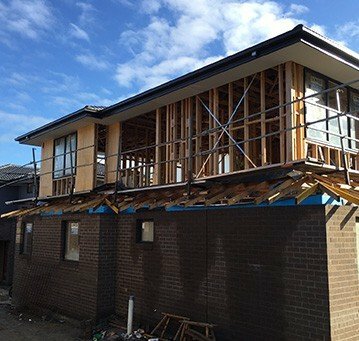 Perhaps the more cost-effective solution of all our scaffolding systems, pitch platform walkway scaffolds are a three-plank walkway system, suitable for painting, weatherboard installation, foam and render installation, cladding. Melbourne Guardrails’ pitch platform walkways also come with a handrail for ease of moving about with tools and extra safety, ideal for smaller residential projects. Why not call us today, to find out about our low prices and how we can make your next project more affordable?